From its origins as a St Patrick’s Day gig in pubs like Molly Malone’s on Circular Road or a Bloomsday affair celebrating the life and works of James Joyce, Red Dot Green Dot has evolved to become an annual fundraising and partnership event between The Ireland Funds Singapore and LASALLE College of the Arts. In its current iteration, it continues the spirit of festive camaraderie while also symbolising generations of collaboration between Ireland and Singapore in fields as diverse as the arts, medical science, education, technology and sport. It is hard to find another event where members of the Irish community – from business people to diplomats, teachers and home-makers – perform on the same stage as fledgling stars who are LASALLE or United World College students and alumni. 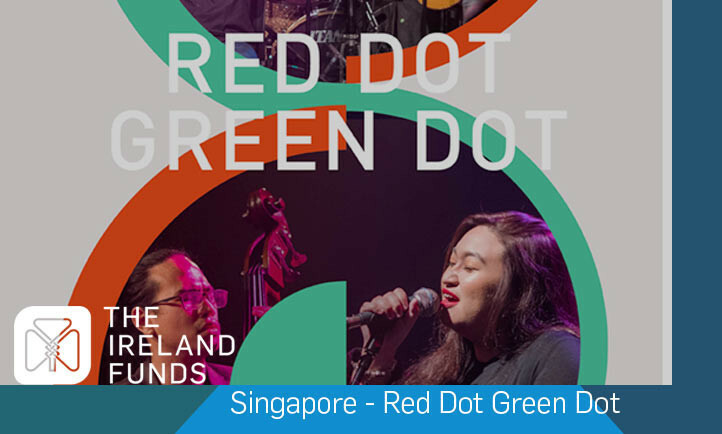 The Ireland Funds Singapore and LASALLE College of the Arts jointly invite you to Red Dot Green Dot: An evening of music, literature and laughter, celebrating the cultures of Ireland and Singapore. Friday 3 May, 7.30pm at the Flexible Performance Space, LASALLE College of the Arts, 1 McNally Street, Singapore 187940. Tickets are available from Peatix.